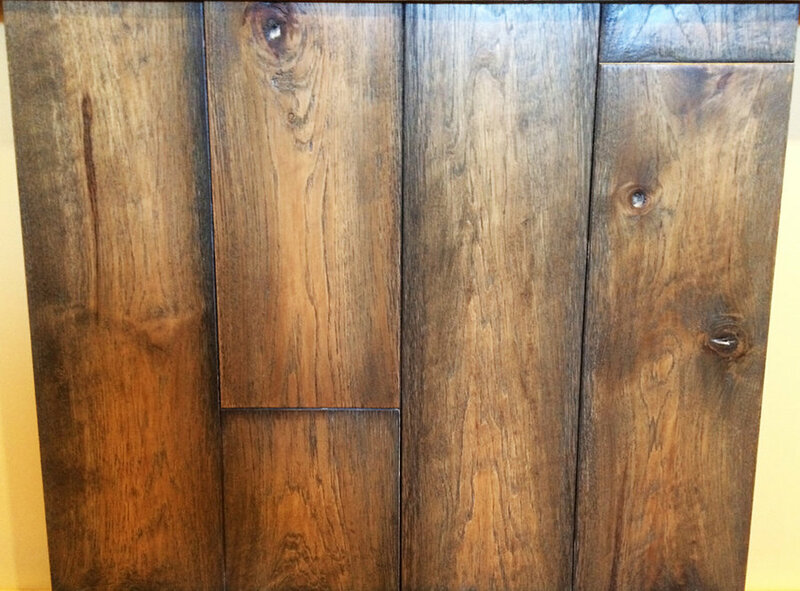 A small selection of some of our Richard Marshall samples. 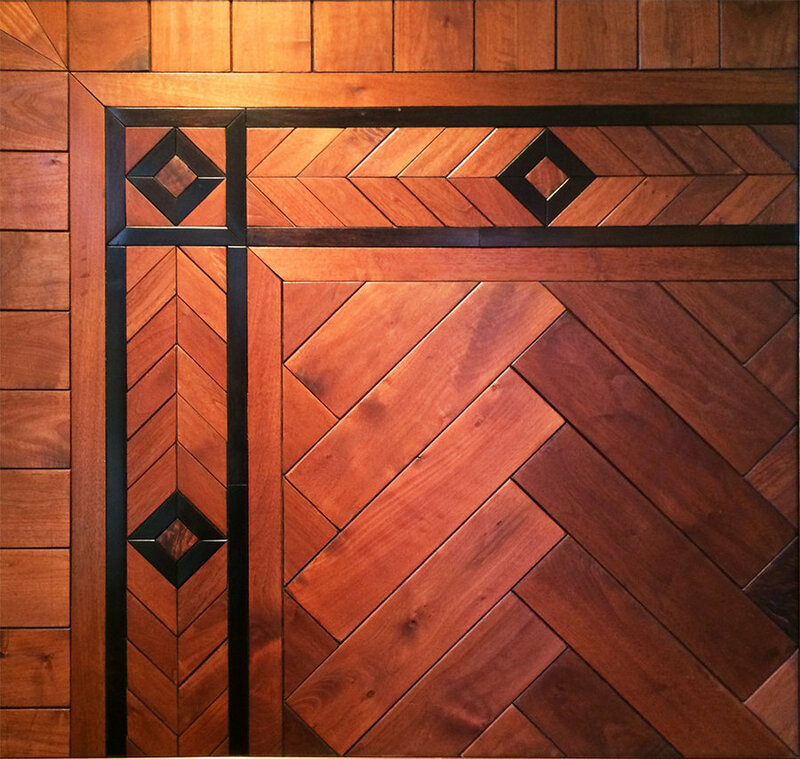 Richard Marshall Fine Flooring provides a fully-custom, pre-finished wood floor for your home or business. 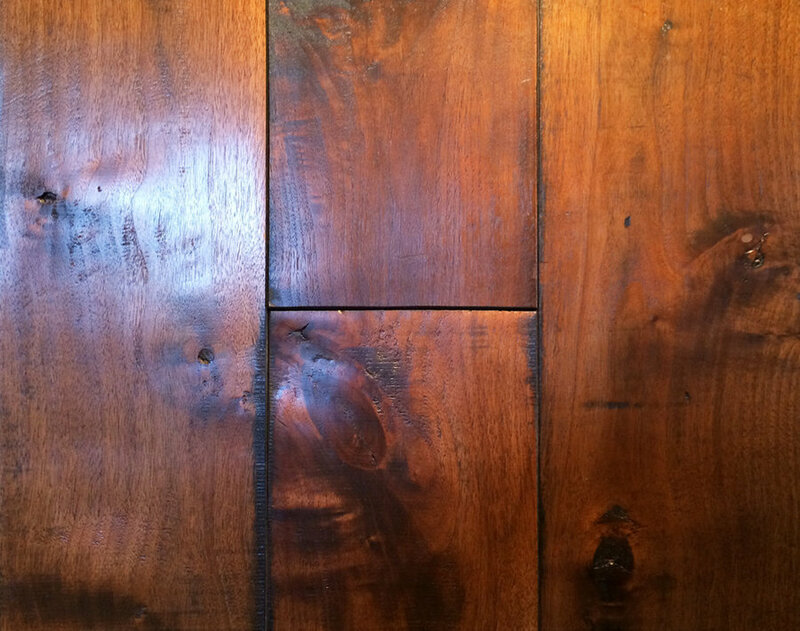 Every detail, from species to texture to distressing to color to finish, is selected by the owner. 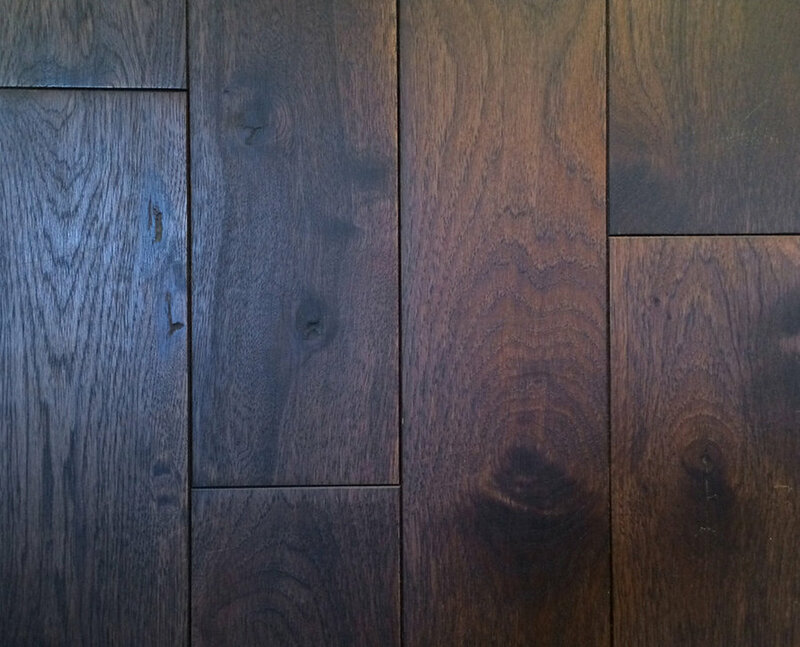 Working primarily with North American and European hardwoods, Richard Marshall and Signature Floors will work together to deliver a stunning floor that will only grow more beautiful with age. 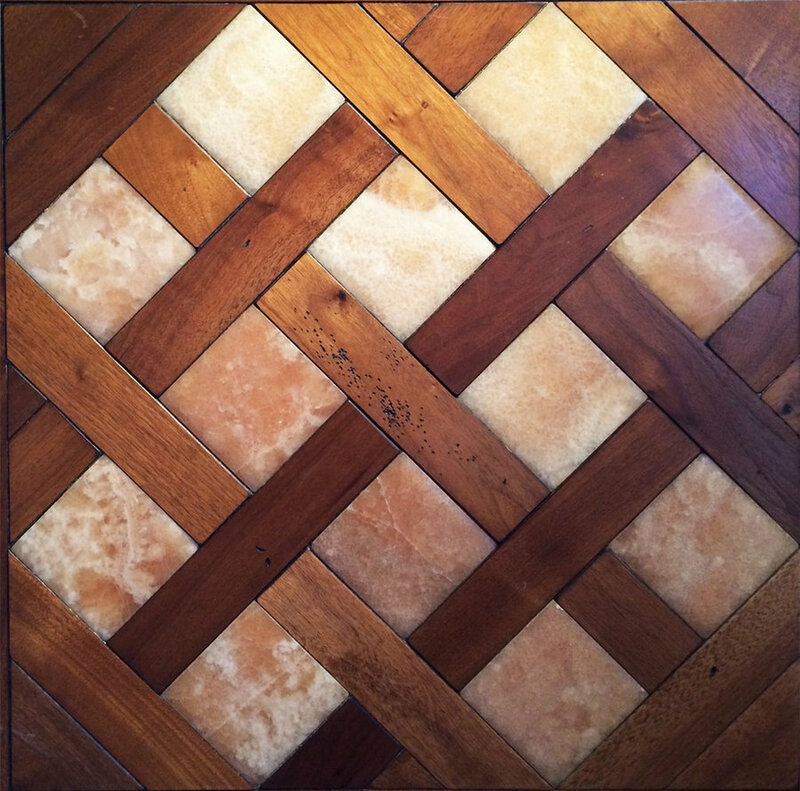 Richard Marshall hand-distressed walnut parquet flooring with onyx inlays. 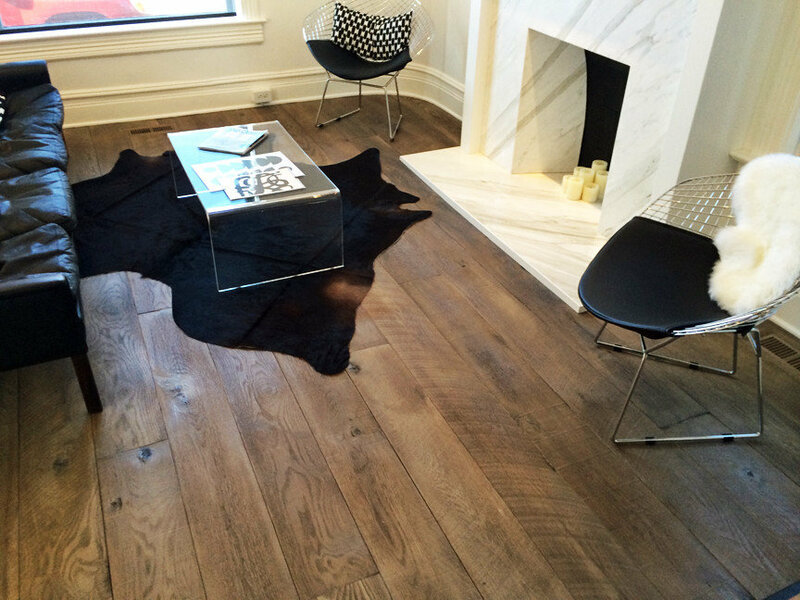 Richard Marshall wire-brushed white oak flooring. 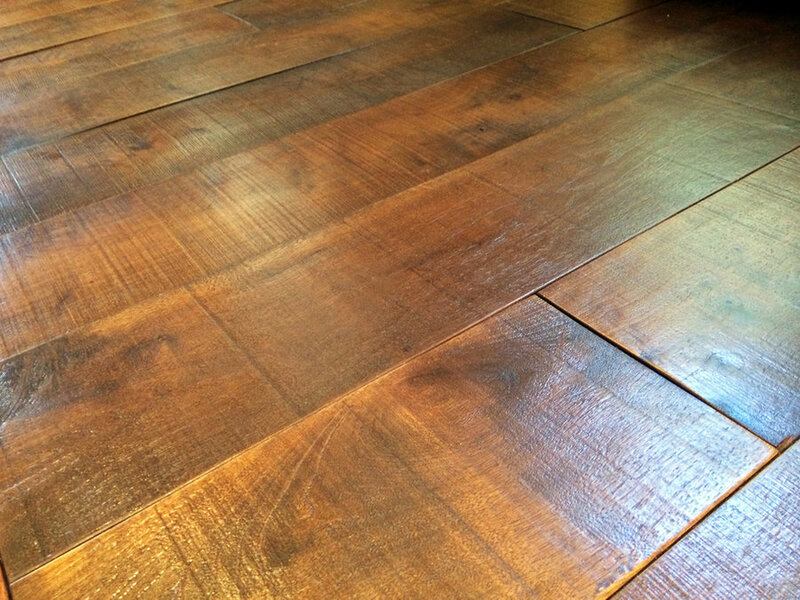 Richard Marshall hand-distressed walnut flooring. 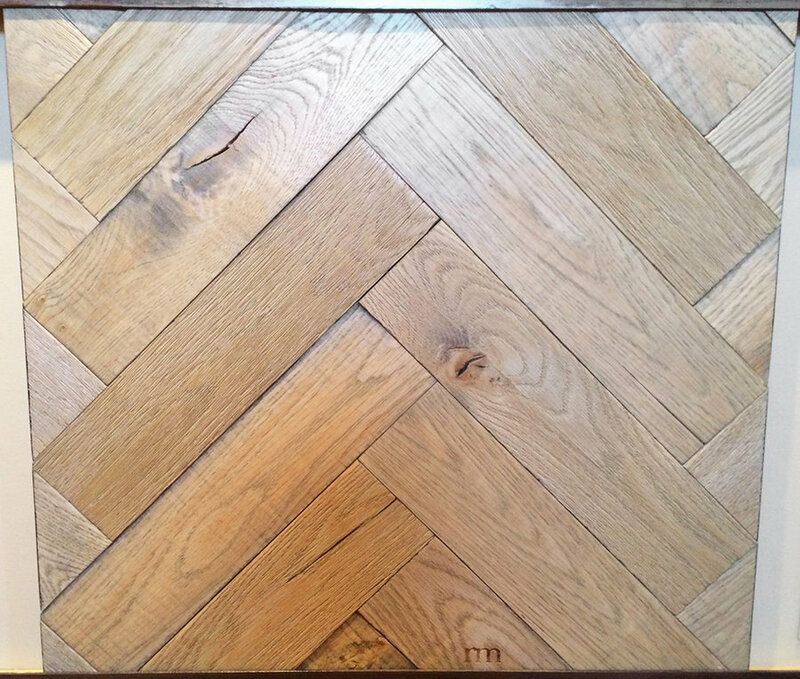 Richard Marshall walnut herringbone flooring with ebony inlay feature strip/border. 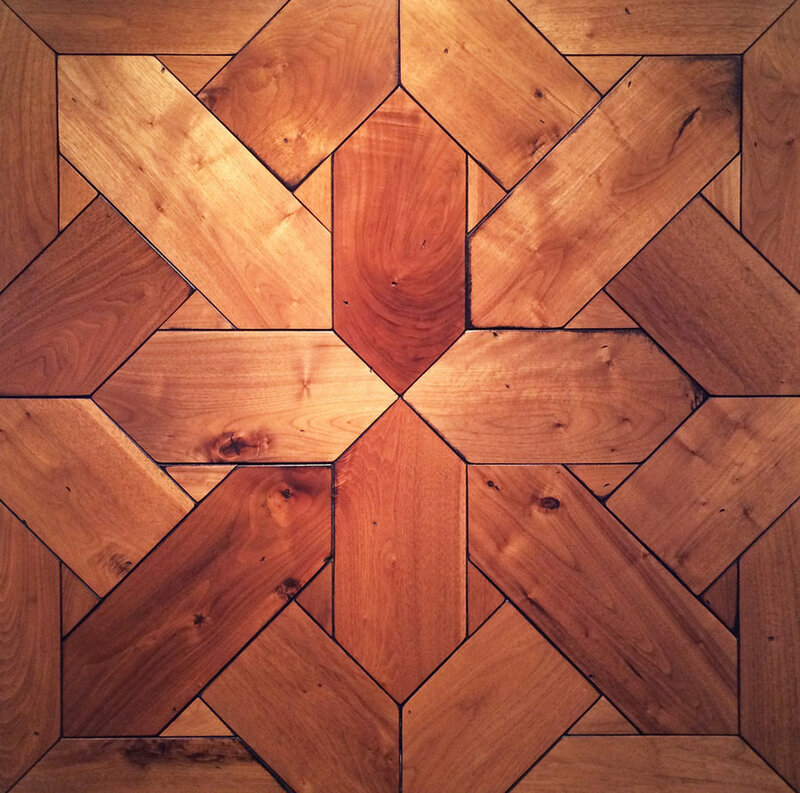 Richard Marshall hand-textured walnut parquet flooring. 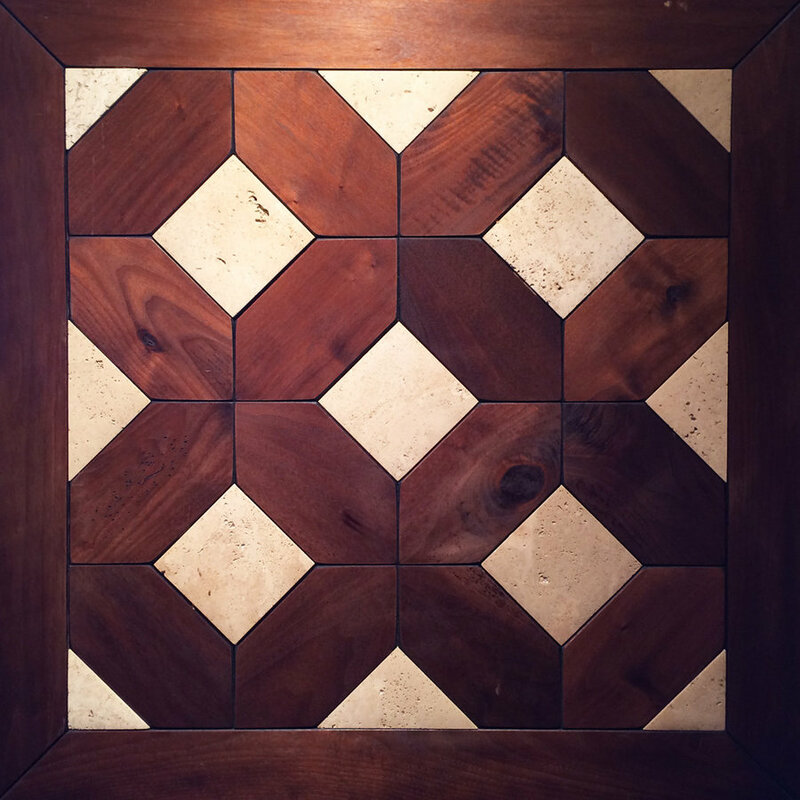 Richard Marshall walnut parquet flooring with stone inlays. 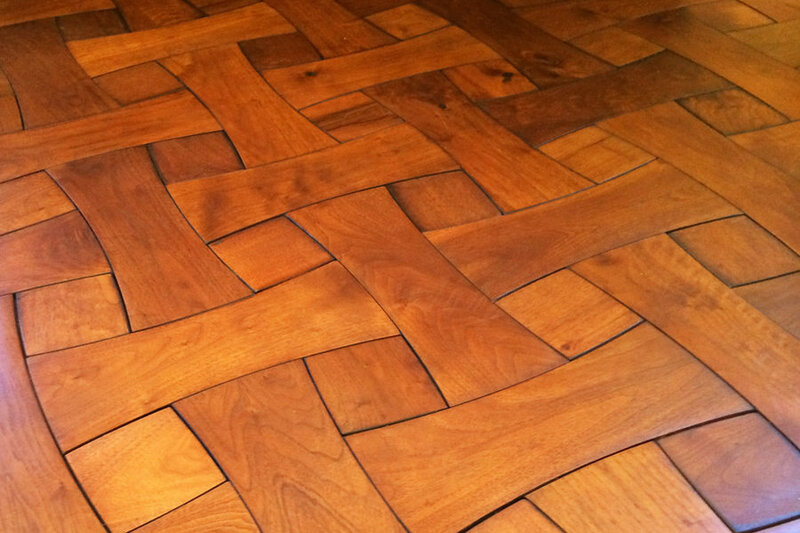 Richard Marshall walnut parquet flooring. 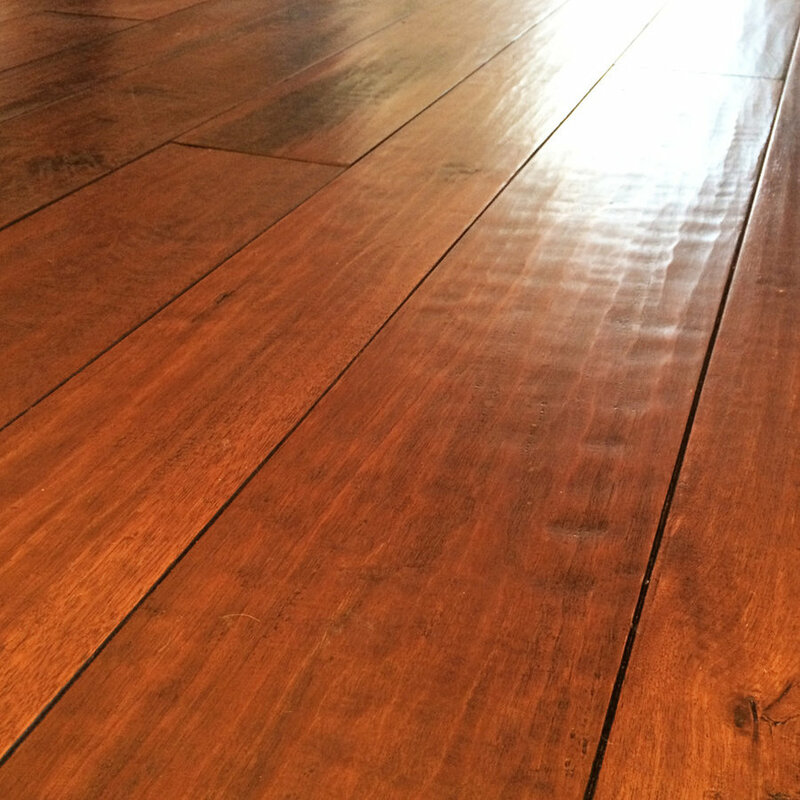 Richard Marshall rough-sawn walnut flooring. 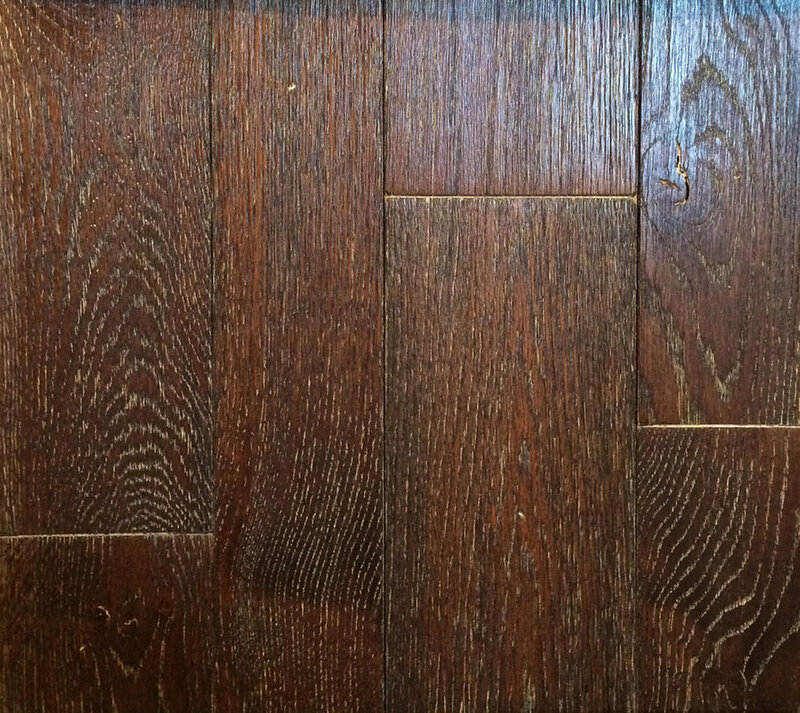 Richard Marshall active-stained, rough-sawn oak flooring.